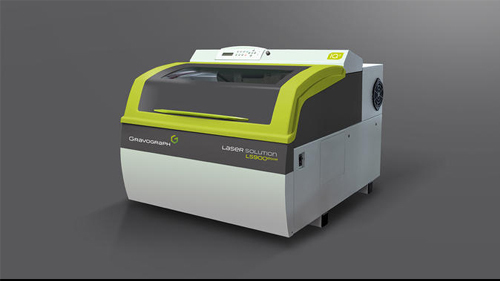 Gravotech is a global leader and pioneer in laser and rotary engraving. 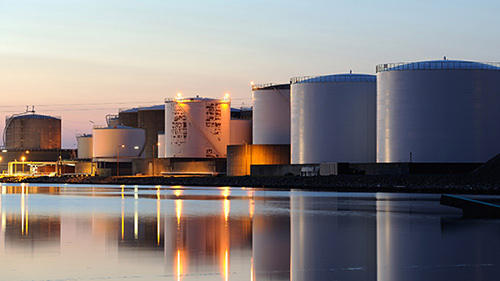 We offer unique turn-key solutions to our customers for business, academic, industrial, and many other applications. 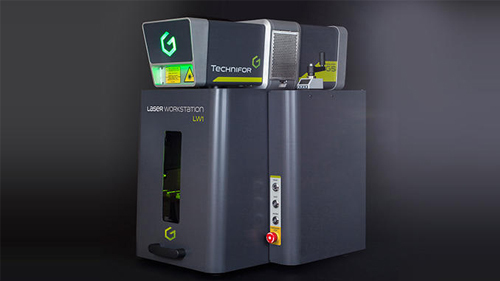 Always innovative, Gravotech strives to deliver a perfect engraving machine or software for you. Please see our product lines below or contact us today to discuss your business goals, and we will help you select the most appropriate solution. Need a custom product? Our engineering team is ready for any challenge. Powerful and excellent quality, it performs accurate marking in very short cycles. 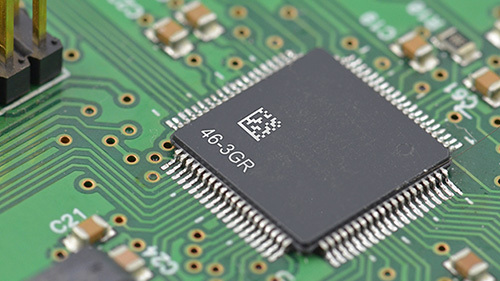 Ultra compact and robust, it is the fiber solution that is fully PPC (program-to-program communication) compatible and is easily integrated into any manufacturing process. With the highest peak power in the range, it provides contrasted marking on a range of materials. 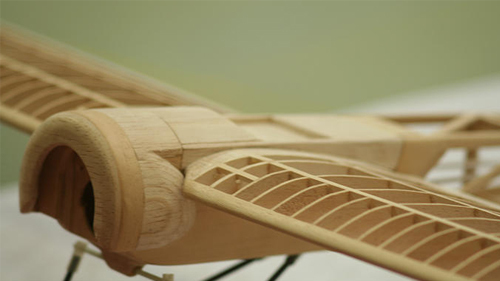 The high-quality beam is particularly effective on plastics. Its all-in-one design minimizes integration costs and facilitates its many uses. 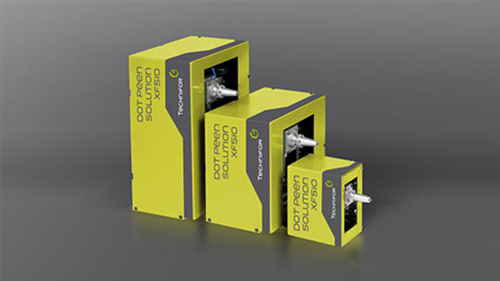 Laser marking and coding on high-speed production lines. The fastest currently on the market, the XF510 dot peen marking machines offer permanent marking with no stress on your parts. High-quality accurate marking without the need for compressed air. Designed to meet the most demanding standards, these marking machines produce outstanding marking quality on all types of materials. The position and force of each impact are fully controllable. This range is particularly adapted to the marking of 2D codes (Datamatrix, ECC200, UID, etc). Designed to combine deep marking and aesthetics, this range delivers direct marking on your parts while keeping noise to a minimum. Quiet enough to meet the noise controls in the strictest standards, it is the industrial solution for marking metal parts, sheets, tubes, etc. 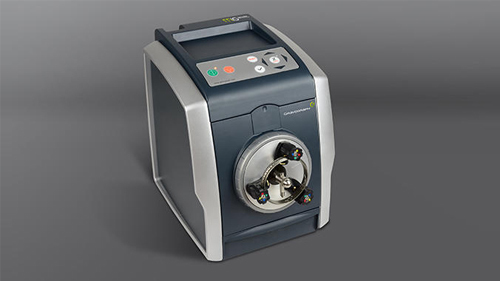 With an unrivaled scribing speed, the XF510r offers very high returns without the need for consumables. Ideal for 2D datamatrix codes. Equipped with an extremely powerful stylus, the XF530 micro-impacts to create durable tamper-proof marks on virtually any surface and any material. 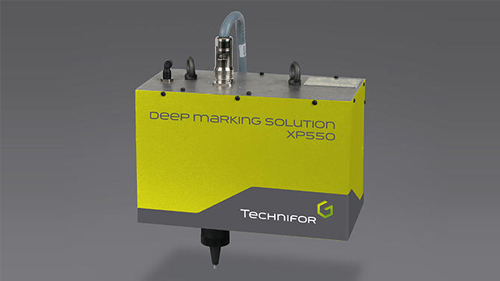 A machine adapted to strict industrial applications, it is designed to allow accurate and very deep marking. 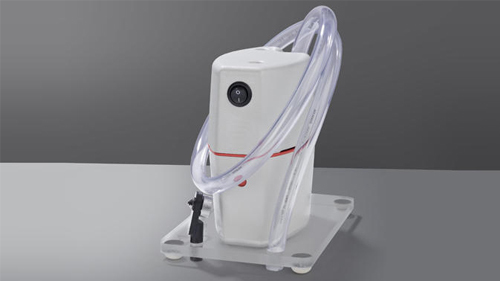 Available in a pneumatic or electromagnetic version. Powerful and fast, this machine provides non-tamperable deep mark with clear readability and in record time. Industrial, it can be integrated into a production line or be used as a mobile station. 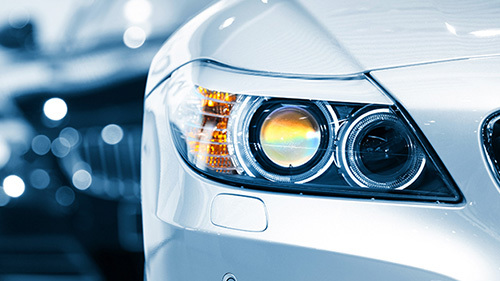 It is the V.I.N (Vehicle Identification Number) marking solution. Easy to use and economic, this ready-to-mark station can be installed safely in an office or on a work table. Compact and quiet, it quickly identifies your small to medium series of parts. The rigidity of the casing and frame combined with the high-performance mechanical and electric components, guarantee the station's long service life. This station marks all types of data (serial numbers, 2D Data Matrix codes, references, logos, etc) on your small to medium series of parts and improves your productivity. Optimum comfort and fast adjustment, it guarantees the professional and permanent marking of all your parts. Perform long-lasting and forgery-proof markings with speed and precision! The dot peen marking machines in the IMPACT range are capable of marking metal workpieces and plastic; they will fit easily into your work space. 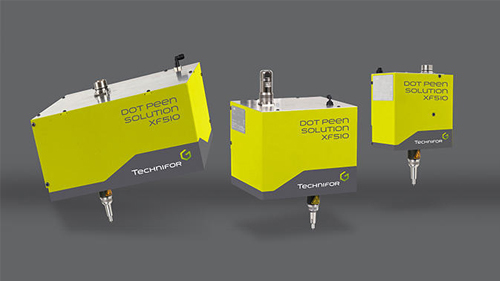 The dot peen marking machines in the IMPACT range are available in two power source versions: pneumatic or electromagnetic, both areas of specialist expertise for Technifor. 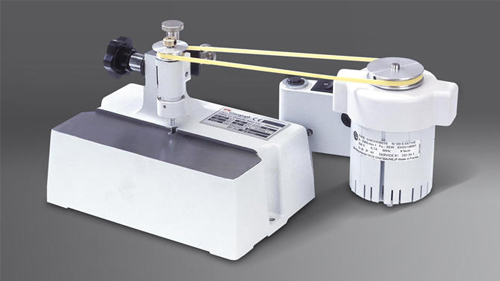 The pneumatic marking machine offers industrial manufacturers high-speed operation and high marking frequency. If your application calls for precision and consistency , the electromagnetic marking machines are more suitable. 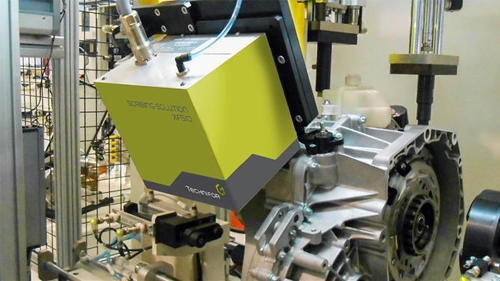 The electromagnetic version is particularly efficient for marking DataMatrix codes. Ergonomic: compact, light and manoeuvrable, this portable machine is the ideal tool for marking heavy or large parts that are difficult to access. Designed for industrial marking, dot-peen solution has ergonomically curved handles, a bright LED light, as well as a trigger for the precise marking of your parts. 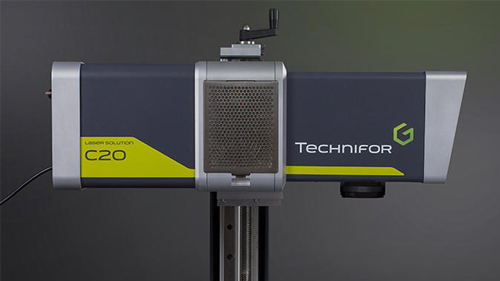 Reliable: The Technifor XE320Cp is backed by decades of expertise and knowledge on marking and traceability requirements and standards. 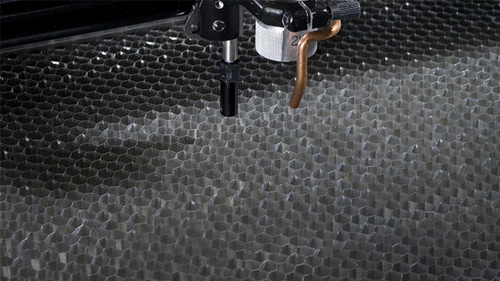 The engraving surface of this industrial laser measures 610x610mm'. It is ideal for marking or cutting of medium and large format media. 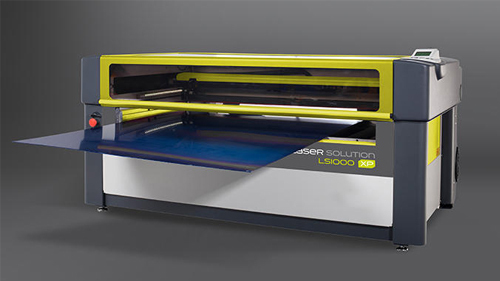 The work speed (4 m/sec in raster mode), CO2 laser sources (from 60W to 150W), and choice of optics make the LS1000XP a high quality product that guarantees high productivity rates. 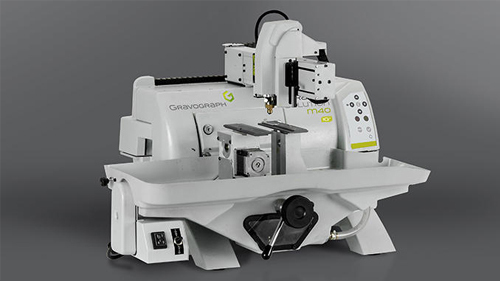 The M10 Jewel solution includes the engraving machine, control software, accessories and user manual. If you're looking for an optimized engraving area for professional plaques with numerous features and accessories, look no further! 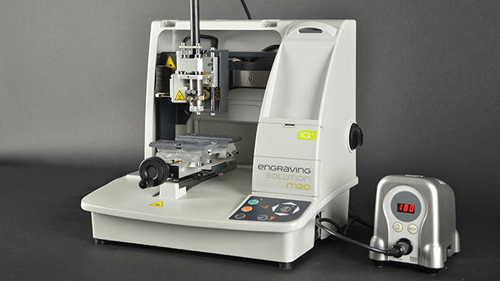 The M40, an innovative and ideal machine for engravers! Elegantly personalize leather goods, business cards, wood, cardboard and more with a beautiful colored metallic finish. The M20 Artfoil is a complete, compact and transportable solution for hot stamping, foil embossing and engraving. Add dimensional embossing and texture to your marking with the adjustable pressure system. 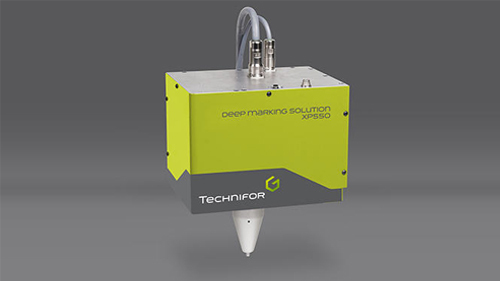 Controlled by Gravograph sofware, this machine can handle the most delicate and detailed foil designs. An engraving machine that's as easy to use as a printer! 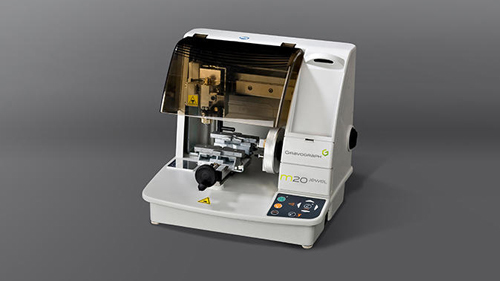 The IS200 is a adjustable machine for engraving small objects, sign plates and technical labels. 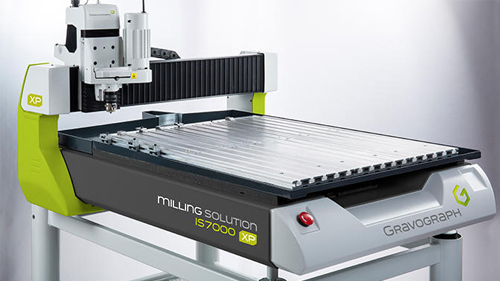 This machine benefits from a unique mechanical structure, providing a completely unrestricted working area, which makes it easy to attach oversized items to the machine for engraving. 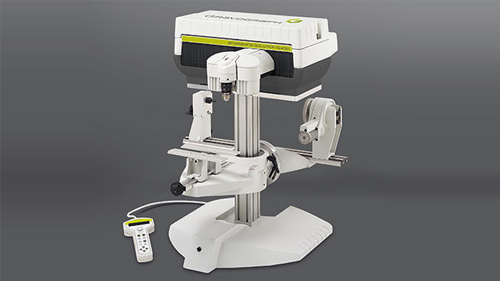 This machine is most commonly used for signage, labeling and identification of industrial parts. A mechanical engraving machine, the IS400 Volume is the solution for engraving of large size objects. 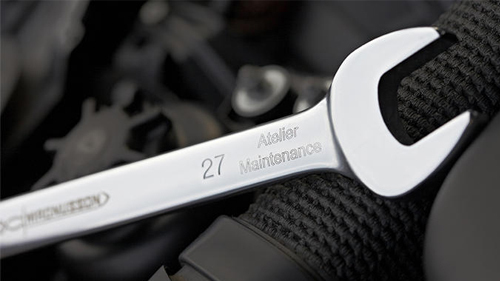 The Vision Manager offers complete traceability of your parts in a single cycle. 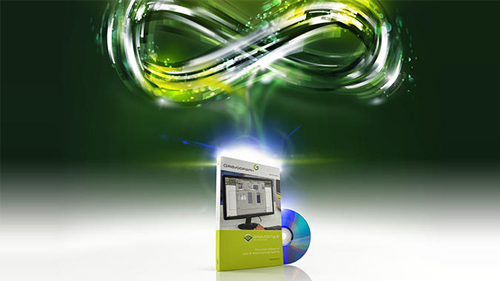 Simplify production line integration with an integrable class 1 solution! Used on high-speed automotive production lines and in the very harsh environments of metalworking factories, this accessory has proven its effectiveness. Are you unable to guarantee the size of your parts to the nearest millimeter? 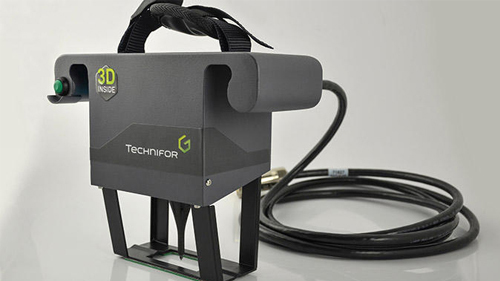 Technifor guarantees the precision of its markings. 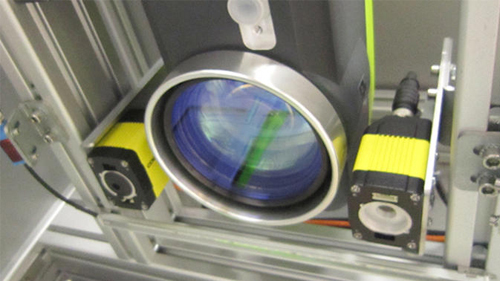 This sensor measures the distance between the focus and the surface being marked and the laser system automatically adjusts its focus. The focusing is instantaneous with no waiting time. 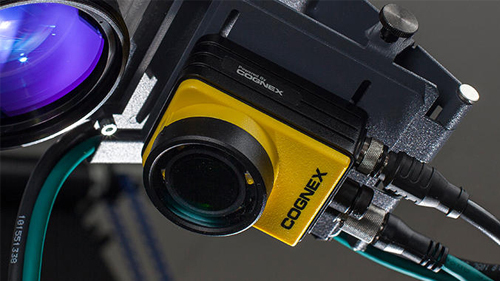 The auto-focus eliminates the need for costly mechanical systems and complex adjustments. 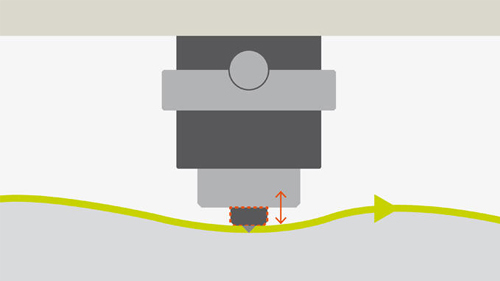 Link the marking of thousands of parts with uneven surfaces, the auto-focus takes care of it all! The rotary device is a device facilitating the marking of cylindrical parts by turning them during the marking cycles. This means you can easily mark your revolving parts on their top or on their circumference. Available in 3 versions - RD1, RD2 and RDM- it can be used to mark all your parts, from small to large. 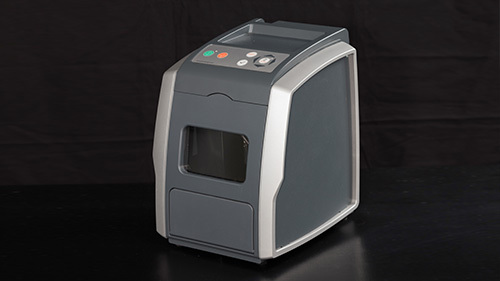 Compact and efficient, these compact code readers combine ease of use with integration (1D and 2D codes). 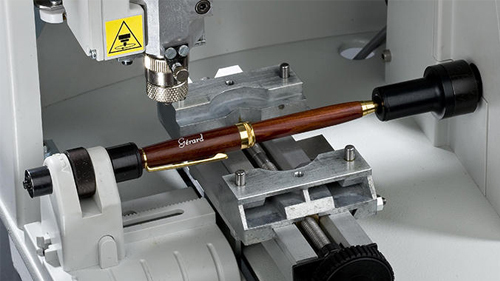 Cylindrical attachments and pen attachments are ingenious accessories that add further capacities to your engraving machine and open up new business opportunities at a very small cost. Based on their size, these accessories allow you to engrave cylindrical objects: pens, bottles, glasses and rings, etc. An essential accessory that ensures your machine stays clean and facilitates your engraving jobs. 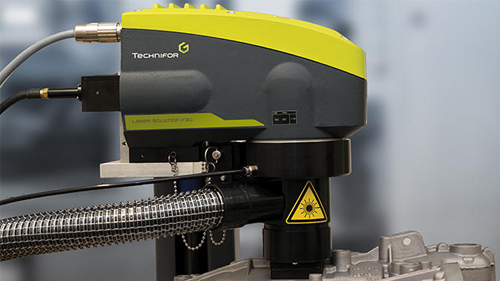 Coupled with its vacuum nose, the Gravograph chip collector is an essential accessory for all your cutting and engraving tasks. 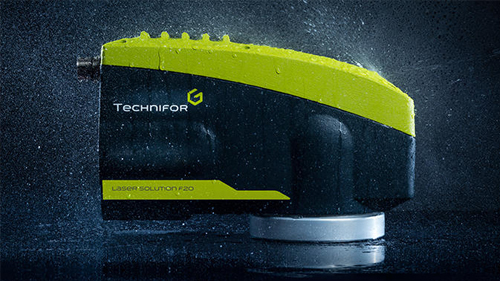 Gravograph chip collectors are easy to use and guarantee your working areas are always clean and tidy. 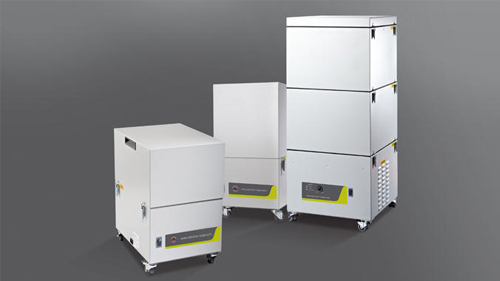 Our collectors are powered by our machines and stop between 2 engravings to limit noise. 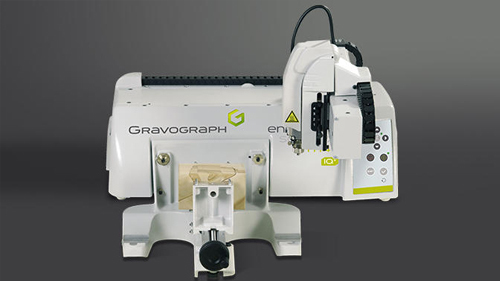 Gravograph brings you an extended range of vice jigs to secure all types of objects during engraving. Our jigs are compatible with all engraving machines. Bevelling machines are essential tools for showcasing your items and giving them the finish and quality sought by your customers. 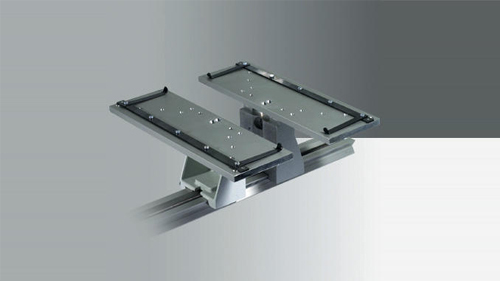 The angle you choose also facilitates insertion of plates into the machine's support. The bevelled edges created by our accessories bring clear added value to the products you've cut or engraved using Gravograph solutions. 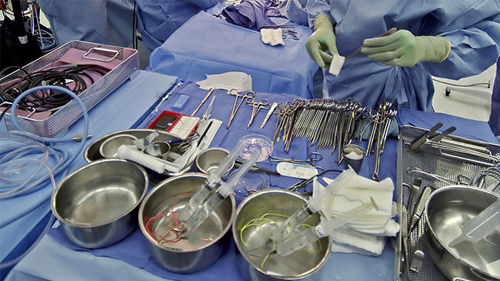 This procedure allows you to differentiate your products and stand out against your competitors. For a small cost, you'll get a quick return on investment. Mark in less than 5 clicks! 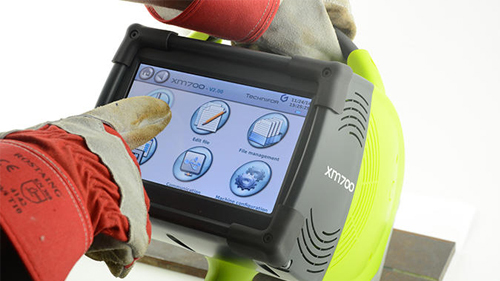 Developed by Technifor and dedicated to marking and traceability, the Lasertrace software is intuitive and simplifies the creation of your markings. From the workshop to the automated production line, Lasertrace has all the features needed to facilitate the identification of your products. 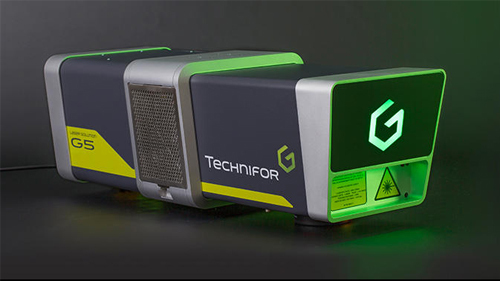 Standard for delivery with every Technifor laser machine, Lasertrace offers all the responses to the standards and regulatory requirements. Gravograph by Gravotech designed unique engraving software Gravostyle™ and Laserstyle™ to run your laser machine. 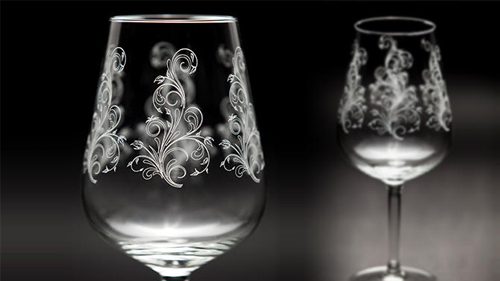 Whether you are a seasoned engraver or a beginner, we have a solution for you. 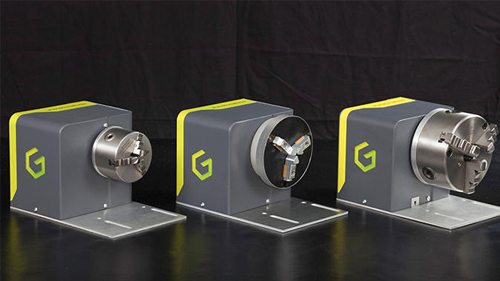 Gravostyle™ offers professional solutions for a variety of applications: from engraving on door plates to the design of measurement tools and the creation of photo gifts. Control your laser machine with Laserstyle™ ! 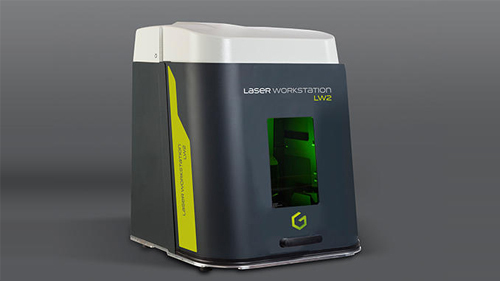 Laserstyle™ comes as standard with Gravostyle™ software from the Discovery module, but is also available separately. Designed to work together with your 3rd party design software or as a standalone software solution. 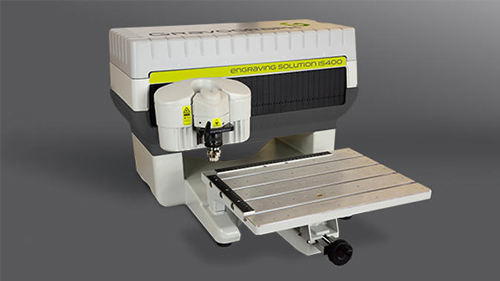 Also providing powerful engraving-specific features to improve your laser engraving productivity. 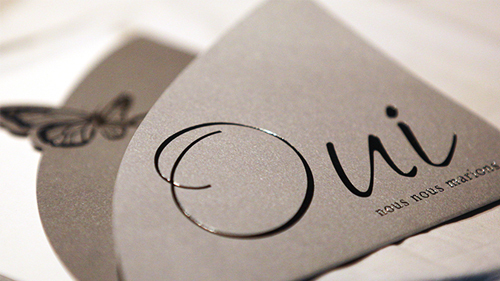 Professional engraving at your fingertips! Who said personalizing should be left to the experts? 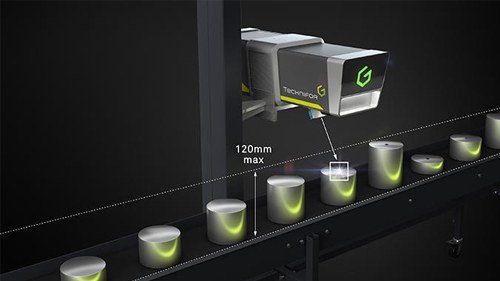 Gravotouch™ is an innovative, picture-driven software solution from the experts at Gravotech. 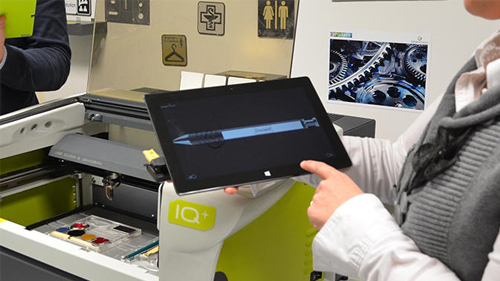 Now you can engrave anything using a touch screen. Our picture driven software is not only powerful, but also very user friendly! Import photos and edit them to get the best possible finish on your item. Feeling creative? Grab a pen and add your own handwritten message on the graphic tablet using Dedicace™ by Gravotech. 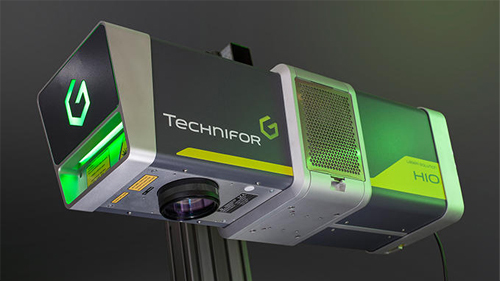 Technifor offers comprehensive solutions integrating marking and its automatic camera-based verification to track each part throughout its production process up to its maintenance. Technifor is proud to manage international projects and integration projects around the world! detectors, printed circuits, component and semi-conductors, etc. 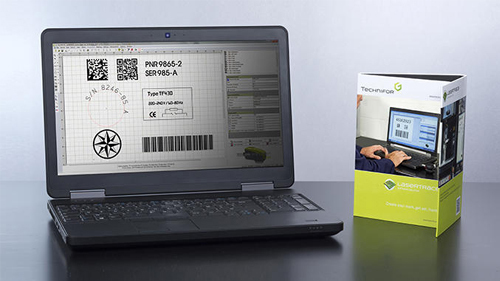 Easy to integrate and communicate within your environment, our machines identify your parts with variables (serial numbers, references, supplier numbers, etc), codes (DataMatrix, date and time, shift and factory etc) and marks (logos, symbols and diagrams etc). 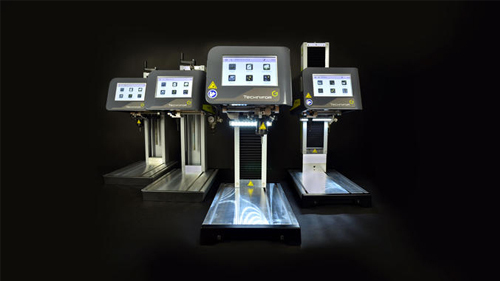 Gravograph offers a wide range of glass engraving machines, covering all customer applications and budgets, from the personalisation of event-based items to the marking of glass windows. 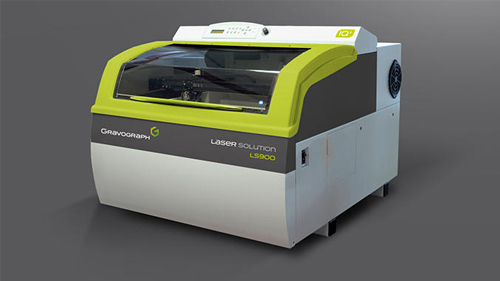 Galvo laser, gantry, or mechanical machine... find the solution best suited to your needs here. 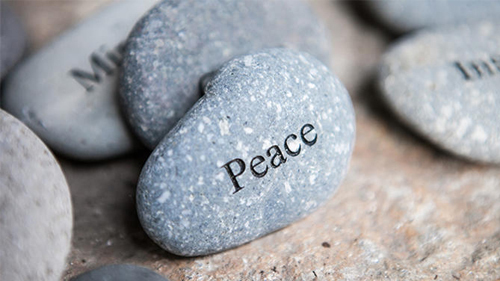 Be it an engraving of a photograph on slate, a personalised motif on a stone, a decorative marble plaque or a piece of jewellery worked from natural stone... Every one of these objects is possible with the help of a Gravograph engraver! 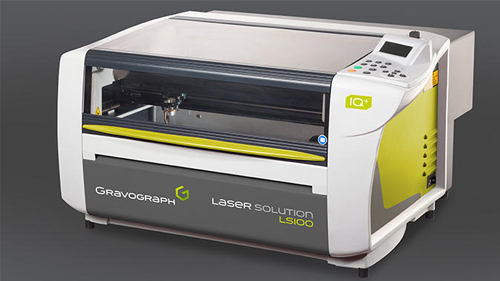 But what dictates your choice between a laser engraving machine or a mechanical engraver? MECHANICAL ENGRAVING MACHINE: GIVE DEPTH TO YOUR CREATIONS! Do you manufacture or machine metal parts and are you looking for a solution to engrave and permanently mark your products? Do you create metal labels or other metal signage products? Do you manufacture or personalise metal giftware and jewellery? 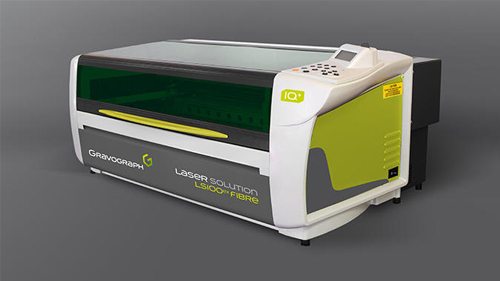 Two technologies are available to you for an optimal result: laser engraving and mechanical engraving. These marking processes produce excellent results both for engraving soft metal such as aluminium or brass, and for marking very hard alloys such as steel, stainless steel or iron. Precious metals can also be engraved. 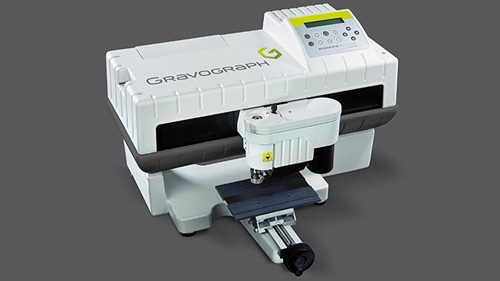 With Gravograph, you benefit from the know-how of a manufacturer with expertise in all engraving and cutting technologies.